The Shrine of Our Lady of Guadalupe in Des Plaines. 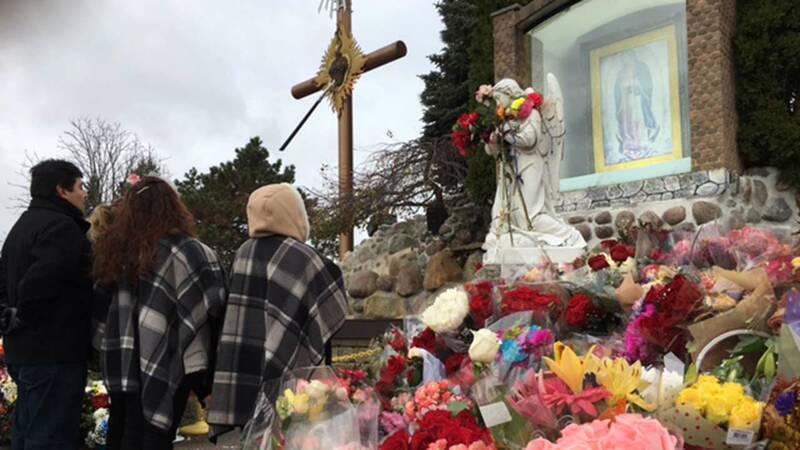 DES PLAINES, Ill. (WLS) -- Massive crowds are expected next week for the Feast of the Shrine of Our Lady of Guadalupe in Des Plaines and police have a plan to keep everybody safe. The annual overnight celebration and mass happens December 11 and 12. Hispanic Roman Catholics view Our Lady of Guadalupe as the mother of the one true God. They travel to the Shrine at Maryville Academy. Police estimate last year's crowd topped 250,000. "We could top that, we could be closer to 300,000 people this, maybe less. We don't know. We are prepared to handle the crowds regardless of the size," said Des Plaines Police Chief William Kushner. Police plan street closures near the Shrine on the 11th and 12th. Alcohol will not be allowed on the grounds.